Testimonials We have over 100 reviews on Checkatrade.com - Click on the link for regularly updated, honest feedback. How lovely to recieve gratitude from the younger members of a family who are extremely happy with their garden. Andrew and his team did a fabulous job on replacing our existing deck and expanding it and also replaced the sleepers surrounding a large flower bed. St Albans. April 2017. Checkatrade Feedback. Very happy with results. One substandard panel of six was replaced immediately without argument. Would use again and recommend. Hemel Hempstead. May 2017. Checkatrade Feedback.
" The standard of work was very good on what turned out to be a tricky job due to a nuisance neighbour, and the depth of the holes required for the correct foundations of the concrete posts. St Albans. March 2017. Checkatrade Feedback. "Very knowledgeable tradesman with clear experience in their field. Work completed to a high standard and to agreed quote. Very polite and courteous throughout. Ware, Hertfordshire. March 2017. Checkatrade Feedback. "Very pleased with the deck, steps and pergola. Has totally transformed the bottom of my garden from a weed filled, dark area to a lovely outdoor living space. Can't wait to use it this summer! Would definitely recommend Edge for their ideas, workmanship and frendliness. St Albans. January 2017. Checkatrade Feedback. "This was a really excellent experience throughout, from first speaking to Andrew to completion of the work. I could not have wished for a better company. I would certainly recommend Edge Fencing for their craftsmanship, efficiency, quality of product and knowledge. As important as these factores are, Andrew has genuine approach and ready advice. His team were most certainly as polite and friendly as they were capable and efficient. Thank you!". Mrs Diana Wheeler based in Watford, 27th April 2016. Checkatrade Feedback. "Excellent job. Andrew and the team worked very hard and to schedule to complete all work in one day. They somehow managed to remove all old fencing and install new posts and panels without damage to mature plants and the results are brilliant." Hatfield, March 2016. Checkatrade Feedback. "This is the third time I have used Edge Fencing as I have known them to be trustworthy and reliable. I am extremely pleased with the finished job". 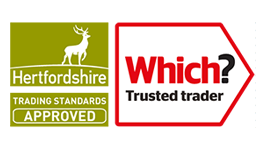 Mr Sinclaire, Hertford 18th January 2016 Checkatrade Feedback. "Andrew and his team were very polite and courteous. Their standard of workmanship and attention to detail was of the highest order. I would have no hesitation in recommending Edge to anyone. To top it off, they were also very competitive on pricing. Win-Win!" Mr David Taylor based in Welwyn Garden City, 7th January 2016. Checkatrade Feedback. "Very prompt service. Work carried out very soon after the quote was accepted. Wasn't at home when work was carried out; staff kept in contact with me to check exactly what was needed. Did exactly what I asked and carefully stacked the logs I wished to keep. No mess at all. Cheaper than a quote from another company." Mrs Kathy Osmond, St Albans, 3rd January 2016. Checkatrade Feedback.
" Everytime I go into my house the front garden really cheers me up "
Jane Harper - North London - October 2015. Checkatrade Feedback.
" The work was finished to a high standard, we are very pleased with all they undertook. They all worked hard, got on with the job and the experience was made more enjoyable by the cheerful way they went about things. I recommend them with full confidence "
Barnet - 28th September 2015. Checkatrade Feedback. "Very impressed with the professionalism from start to finish. The team worked hard and did an excellent job. Reliable and very pleasant to deal with"
Mrs Skillington - St Albans, 17th July 2015. Checkatrade Feedback. "Thank you so much to the Edge Team for our lovely new fence. Highly recommend your work"
Mrs Jo Priestnall - AL9. Checkatrade Feedback. "Dear Deborah, I found Edge Fencing in the Potters Bar Eye and I would not hesitate to recommend them. They were pleasant, polite, came when they said they would and did a great job for a great price. Thanks again"
Mrs P – Enfield. Checkatrade Feedback. 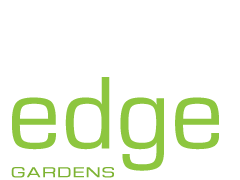 "The Edge team have always delivered consistently high quality results, within budget, whatever the task. I am always confident to recommend them to all my clients." Alison Anscombe Garden Design. Checkatrade Feedback. "Edge Gardens were very professional, installing a lovely patio and water feature for us. We can now use the garden so much more and are very pleased with the result. We can't fault their work and wouldn't hesitate to recommend them to anyone"
Mr & Mrs Anscombe – Brookmans Park Checkatrade Feedback. We have always found Andrew & Co a great team for paths, planting and all landscaping work! The work is well priced, done quickly and to a very high standard. We would have no hesitation in recommending them to anyone! Well done and keep up the good work. Regards"
Guy Walton - Barnet Checkatrade Feedback. "Andrew Thompson redesigned my small garden behind my mews house last year and did a good job at a reasonable price which is a considerable improvement on the previous garden. He and his workmen were efficient and helpful causing the minimum inconvenience. I can recommend him without reservation. Good luck!" David Stern – Hampstead Checkatrade Feedback. "Many thanks for your efforts, we are very happy with the work and would like to say that we have found your service and professionalism to be very refreshing." Bret Martin – Potters Bar Checkatrade Feedback. "Fence job was very well done. Your guys took a lot of care over the plants and cleared everything up before they left. All the best"
Professor Humphrey Rang - Hampstead Checkatrade Feedback.